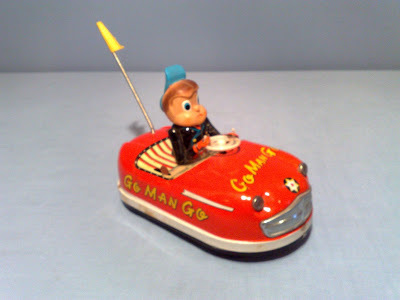 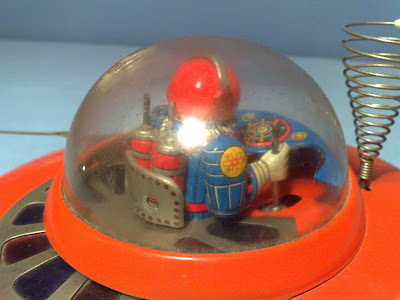 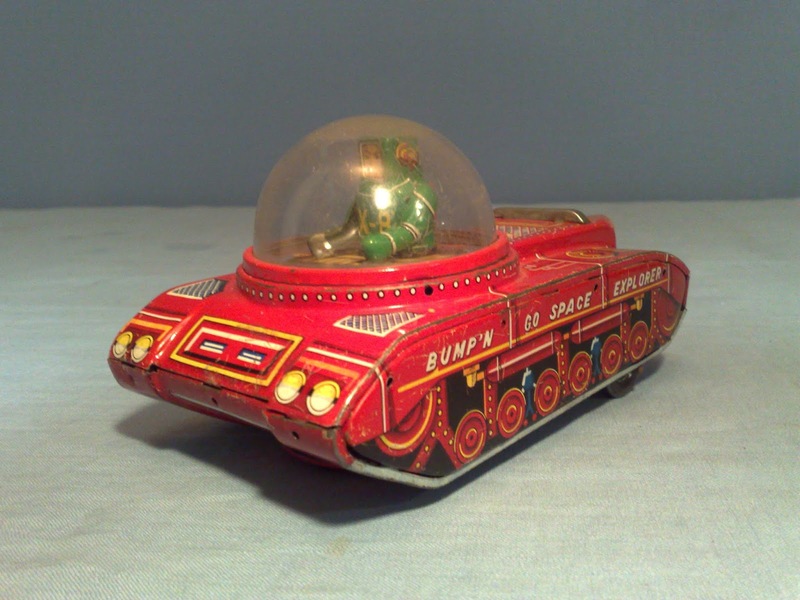 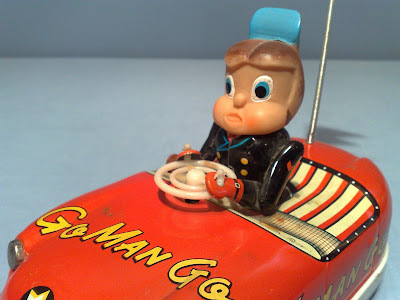 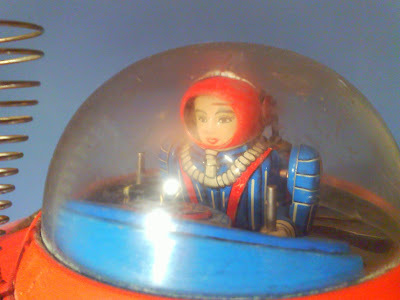 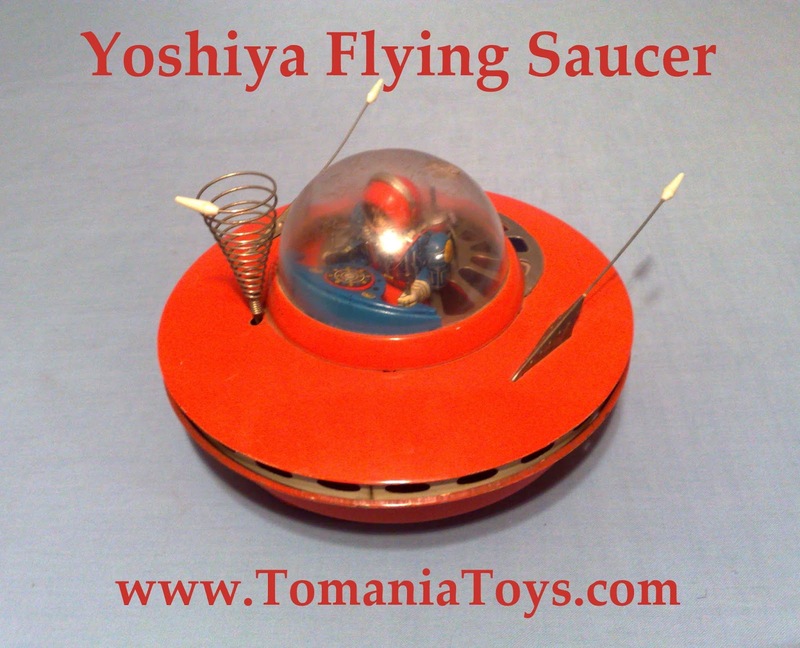 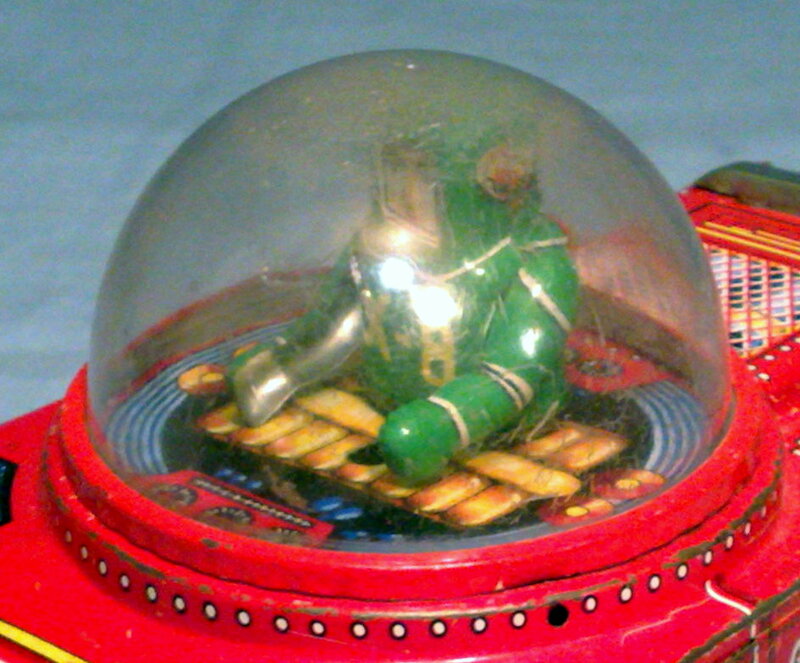 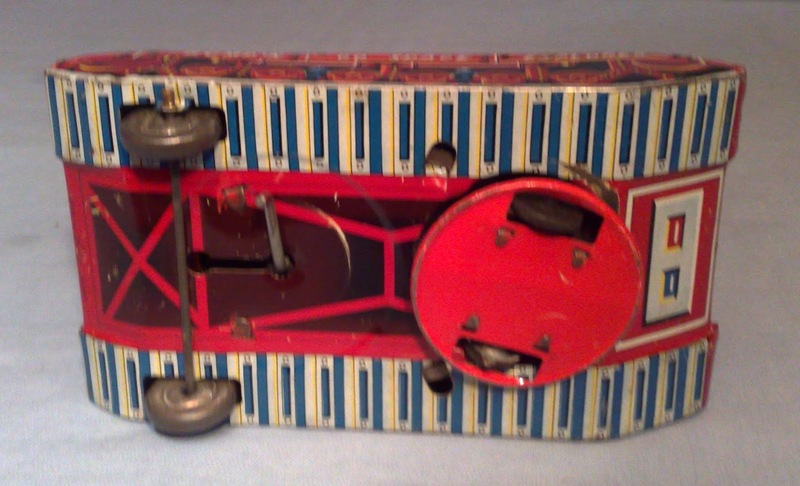 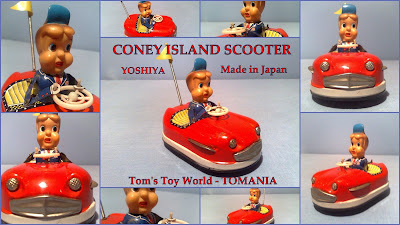 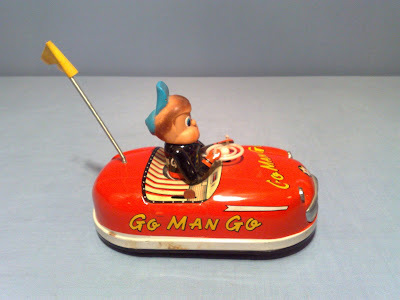 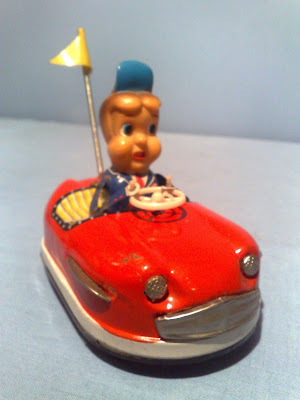 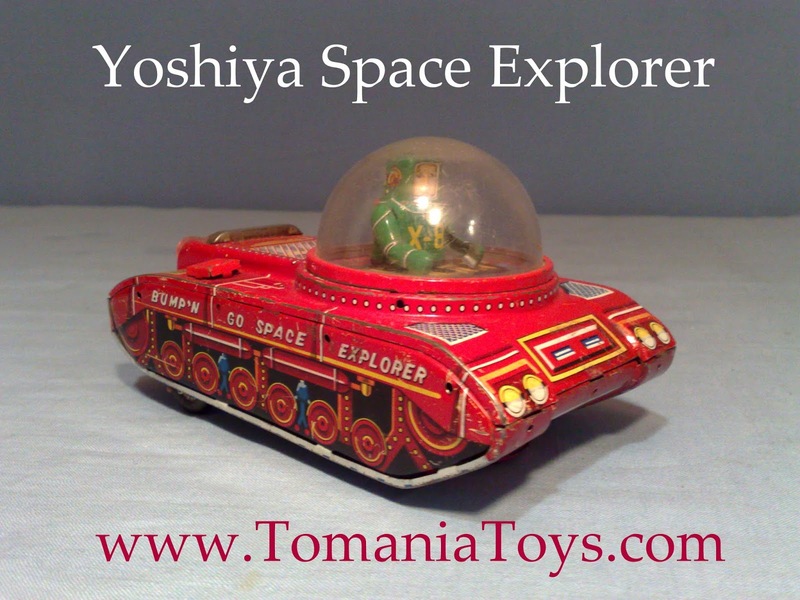 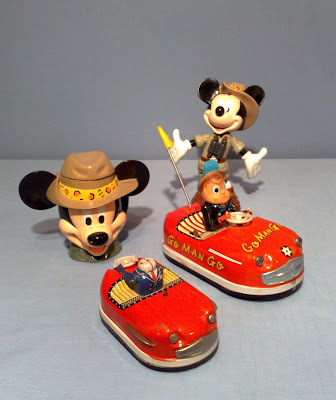 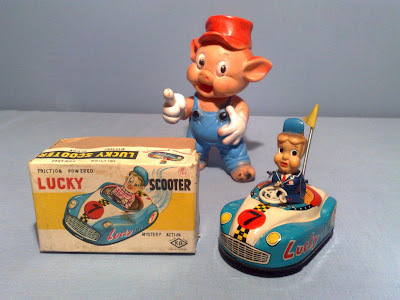 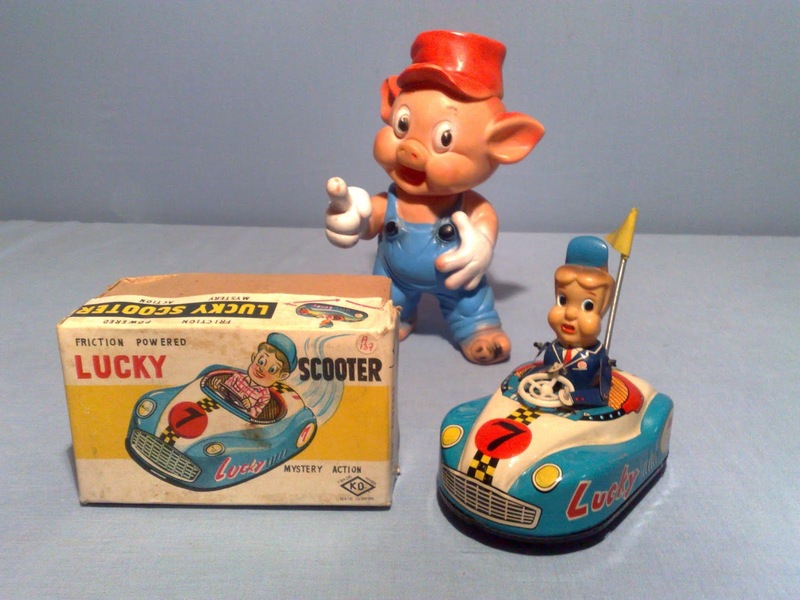 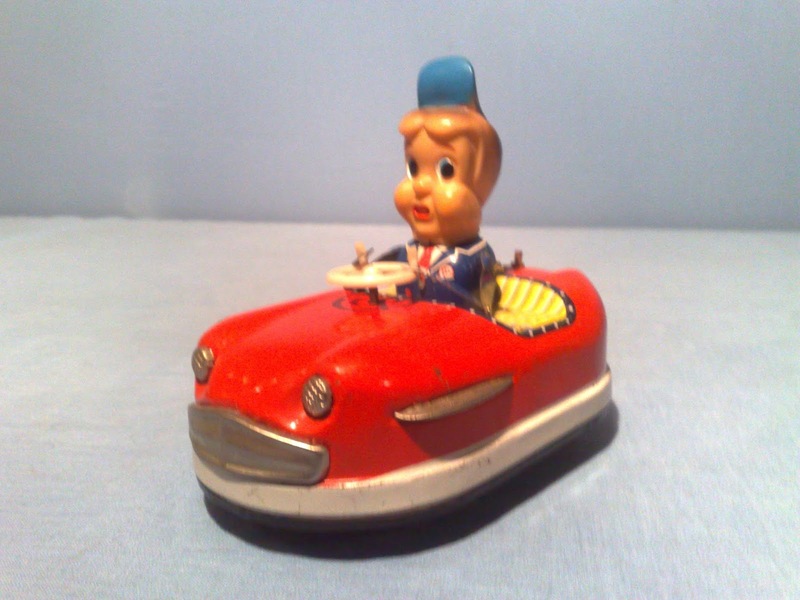 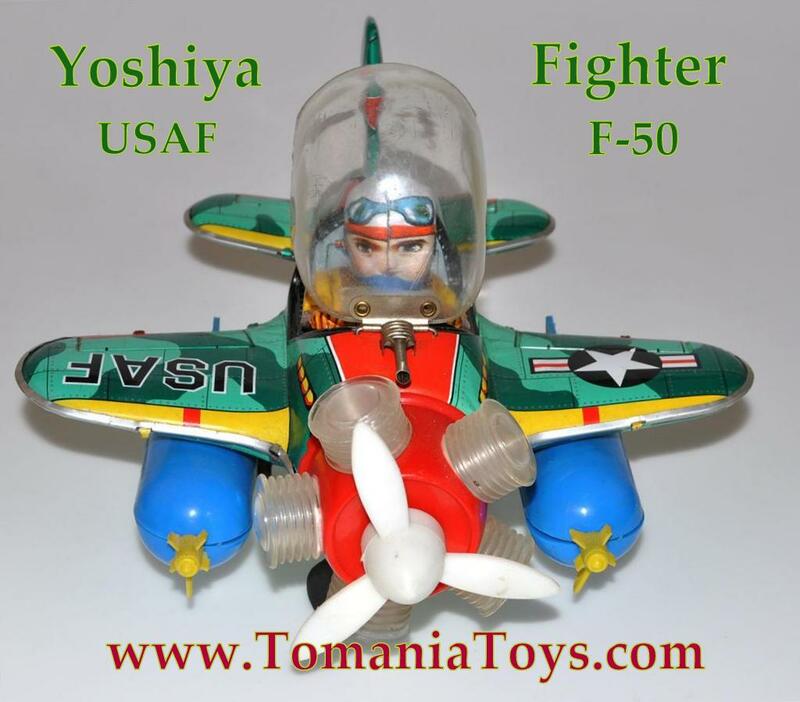 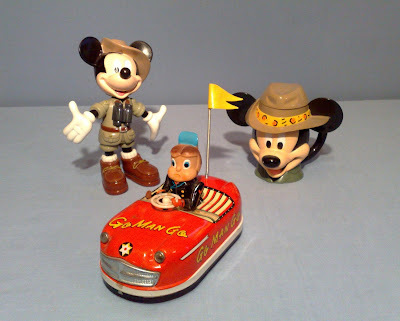 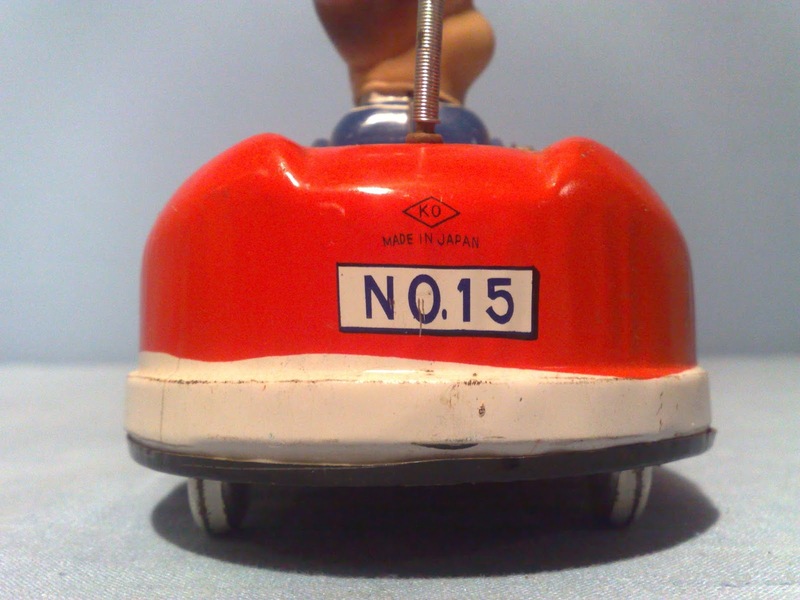 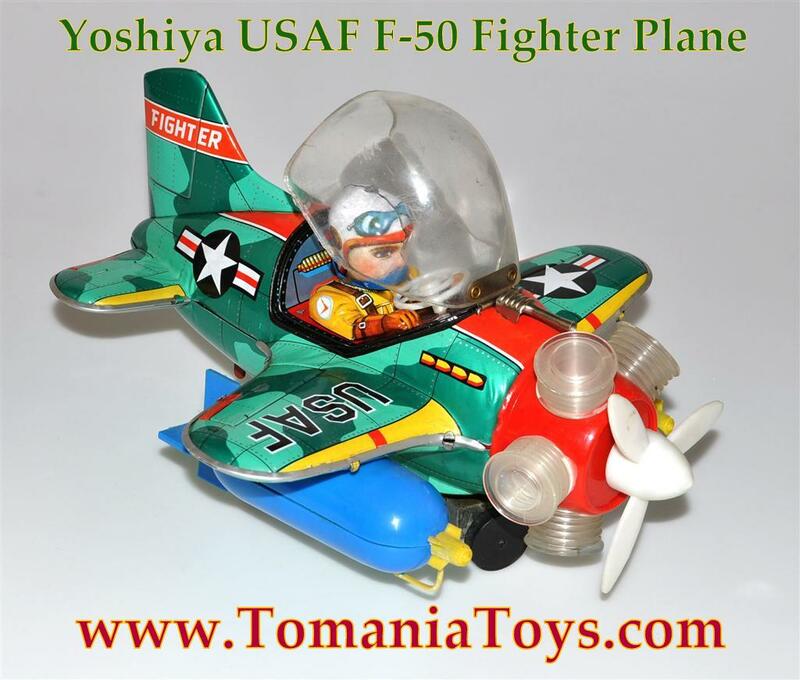 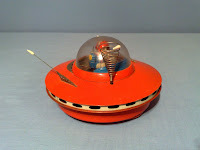 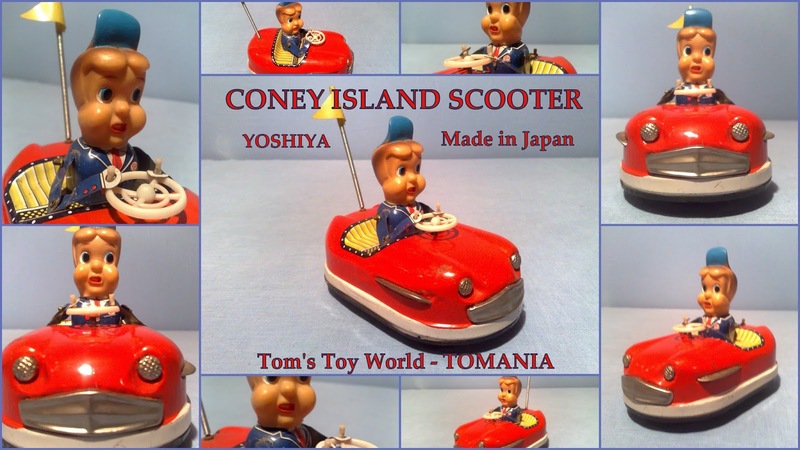 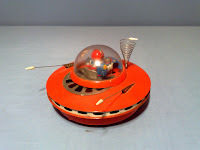 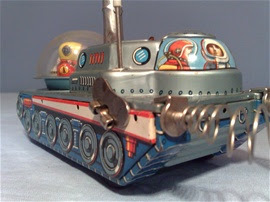 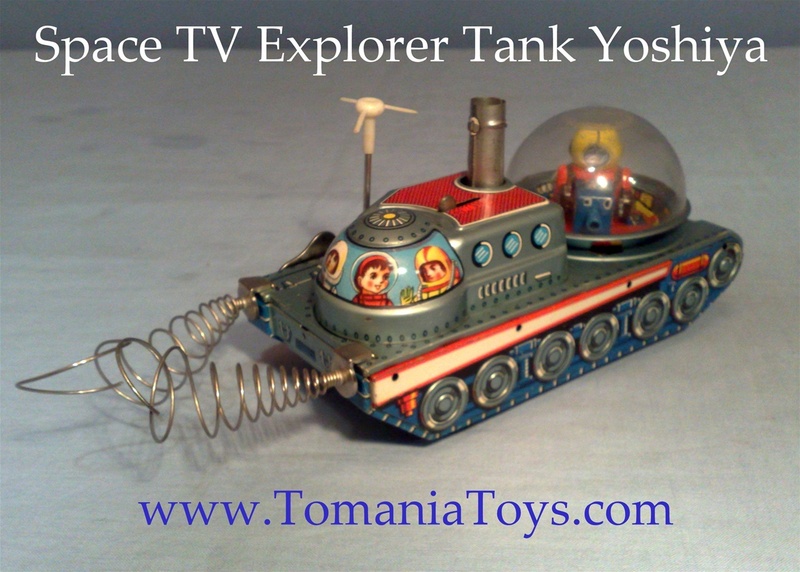 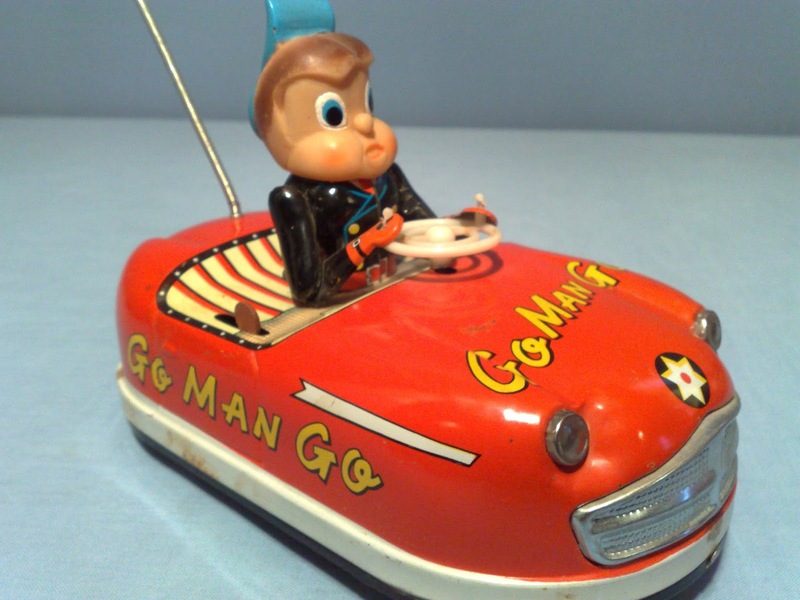 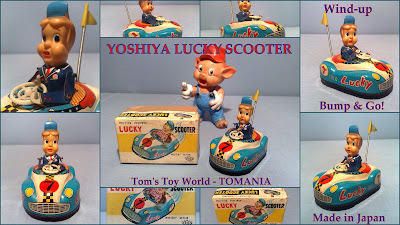 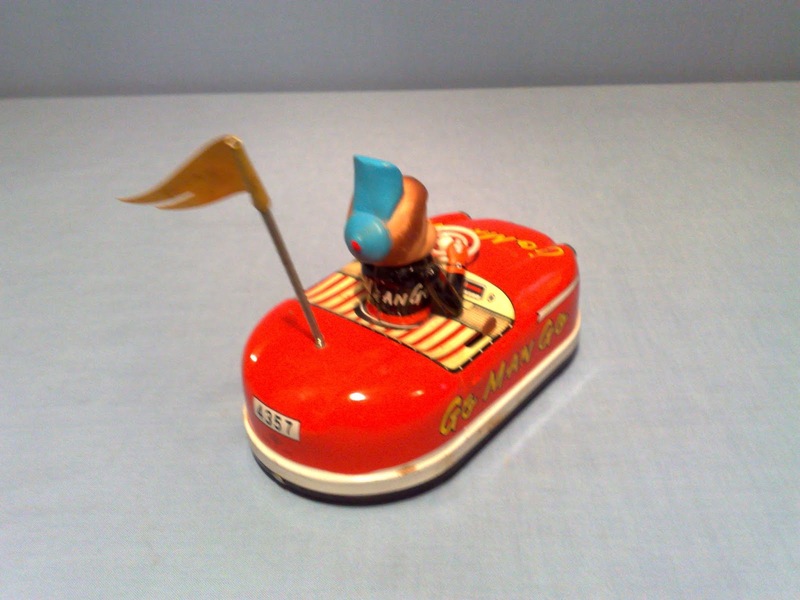 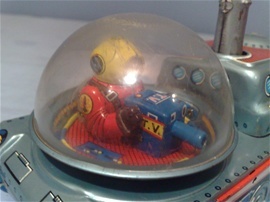 Special "Handle-wind-up" Mechanism with "Flywheel-motor"
Tom's 1.st Tin Toy with this special Wind-up Engine! 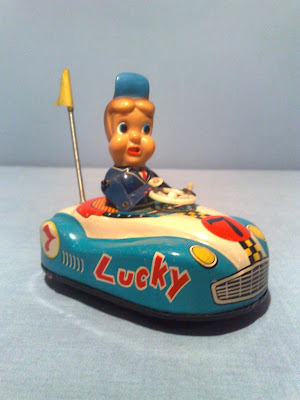 Many Heartly Thanks for this great Toy - I treasured this and used it with care! 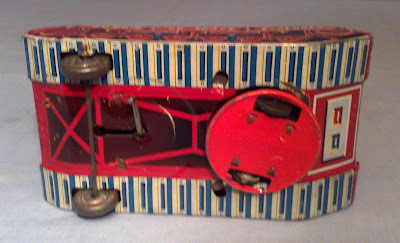 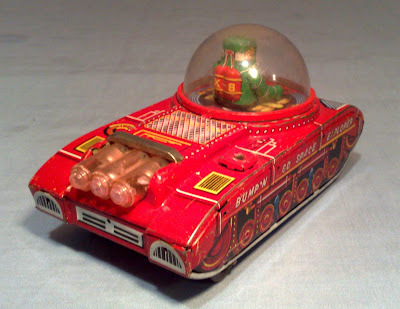 RADIO CAR - "Coney Island" - "Tivoli Radiobil"
Battery mounted inside each "Bomb" under the wings! 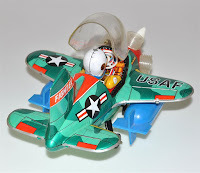 Opening Canopy with Greeting Pilot - Turning and giving Salute! Lovely Lithograped & Cute little plane! 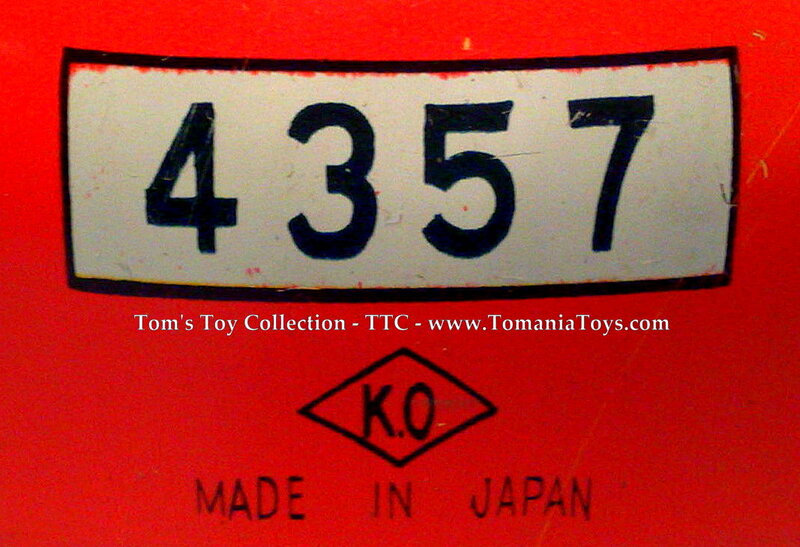 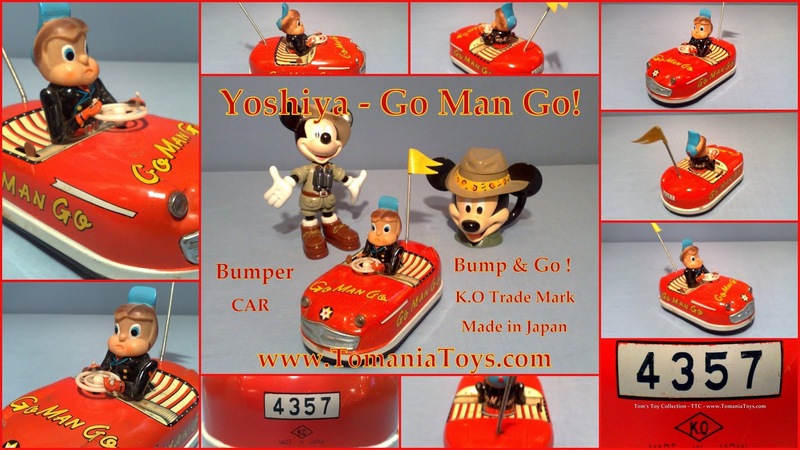 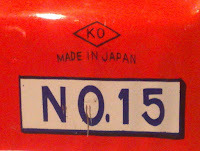 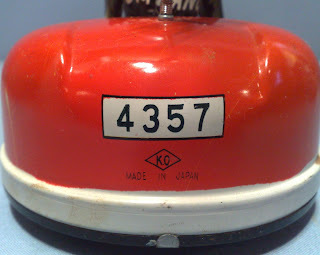 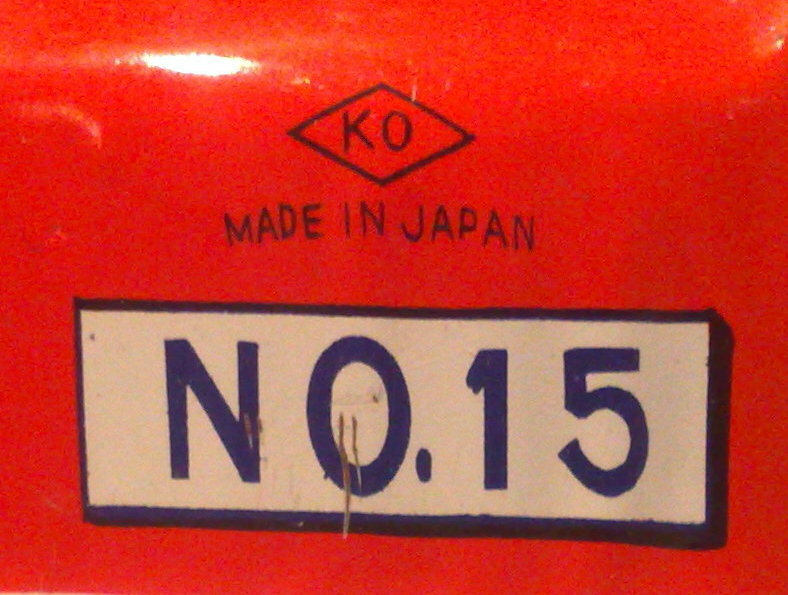 Trade Mark K.O in Diamond - Yoshiya Toys Co.